Some things are perfect for all the wrong reasons. 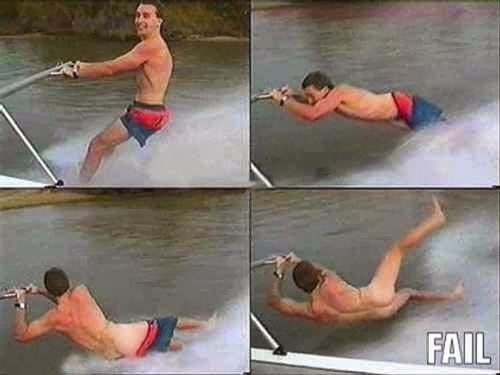 This, for example, is a perfect demonstration of how not to water-ski. Oh, and, I don't know, maybe consider tieing your drawstring a little tighter next time?